In 2001, the Ninth Circuit found that the Federal Arbitration Act (“FAA”) preempted the California Franchise Investment Law’s limitation on out-of-state forum selection clauses in agreements to arbitrate. The Ninth Circuit’s rationale was later expanded by several U.S. Supreme Court opinions – most notably, AT&T Mobility v. Concepcion, 131 S.Ct. 1740 (2011) – negating the individual state’s ability to legislate terms contrary to those contained within an otherwise valid agreement to arbitrate. More than a decade later, there is little doubt that the FAA generally controls the enforceability of out-of-state arbitration provisions in franchise agreements and preempts any state law seeking to frustrate these agreements. Yet, questions still remain concerning the scope of the FAA’s preemptive powers. The FAA was specifically enacted “[t]o make valid and enforceable written provisions or agreements for arbitration of disputes arising out of contracts […].” By its own language, the FAA’s scope appears to be limited to the enforceability of existing written agreements to arbitrate. If true, are states then free to dictate the parties’ pre-contractual negotiations, including the terms that can be included within the agreement to arbitrate? 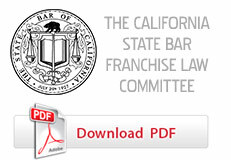 Unlike the venue restriction in California’s Franchise Investment Law that seeks to void otherwise valid out-of-state venue provisions in franchise agreements, the Maryland Regulation prohibits franchisors from including out-of-state venue requirement in their franchise agreements in the first instance. As discussed in detail below, in deciding the Dickey’s case the Fourth Circuit sidestepped the FAA preemption issue by faulting the franchisor for following the Maryland Regulation and not raising the preemption argument when it first registered to do business in Maryland. Dickey’s Barbeque Restaurants, Inc. (“Dickey’s”), is the franchisor of a national chain of quick-service barbeque restaurants operating under the name Dickey’s Barbeque Pit. Since 2006, Dickey’s has aggressively expanded its operation from 20 restaurants, primarily in Texas, to more than 500 restaurants nationwide. In 2012, Dickey’s added two new Maryland franchisees to its system. Sadly, these relationships deteriorated shortly after the franchisees opened their restaurants. In less than a year, Dickey’s had accused the franchisees of mismanaging their restaurants while the franchisees had accused Dickey’s of violating the Maryland franchise laws by misrepresenting the startup costs and estimated potential sales and profits during pre-contract negotiations. After some initial discussions about mediating their differences, Dickey’s initiated a separate arbitration proceeding against each franchisee in Texas asserting mostly contract-based violations. The franchisees responded by filing suit in Maryland District Court seeking to enjoin the arbitration on the basis that the arbitration provisions in the franchise agreements were unenforceable, and to assert a claim for Dickey’s alleged violation of the Maryland Franchise Law. Dickey’s opposed the requests for injunctive relief and moved to compel arbitration of all claims raised in both lawsuits. The franchise agreements included arbitration language at Article 27 (the “Arbitration” clause) and Article 29 (the “State Specific” clause). On the other hand, Article 29 inconsistently stated that the “provisions of this Agreement shall not require you to waive your right to file a lawsuit alleging a cause of action arising under Maryland Franchise Law in any court of competent jurisdiction in the State of Maryland.” As discussed later, Article 29 is similar – but not identical – to Section 02.02.08.16(L)(3) of the Code of Maryland Regulations and was required to be included in the franchise agreements by the Maryland Commissioner of Securities as a condition precedent to doing business in Maryland. According to the Fourth Circuit, this dispute “hing[ed] on the interplay between” the inconsistencies in Article 27 and Article 29. In support of its motion to compel arbitration, Dickey’s argued that the arbitration provisions were consistent as Article 29 “merely preserves the Franchisees’ right to bring a claim under the Maryland Franchise Law in either arbitration or in court.” The franchisees, on the other hand, argued that the language of the two clauses “fundamentally conflict,” and because the parties agreed that Article 29 would trump any conflicting provision in the franchise agreements, Article 27 is rendered void allowing all claims to proceed in court. Confronted with these conflicting contract interpretations, the district court “punted.” Instead of issuing a conclusive ruling on the motion to compel arbitration, the district court found that both interpretations were “plausible” – making the arbitration language “ambiguous” – and reasoned that a jury was needed to determine exactly which claims, if any, the parties agreed to arbitrate. In reaching this decision, the district court denied the motion to compel arbitration without prejudice until the issue could be brought before a jury. Dickey’s timely appealed the district court’s ruling. On appeal, the Fourth Circuit quickly found that there were no facts in dispute and the conflicting interpretations of the arbitration provisions should have been decided by the district court as a matter of law, and without a jury. The court then moved on to determine whether the parties intended to arbitrate their disputes by analyzing the plain language of the franchise agreements. The claims in dispute involve (i) Dickey’s contract-based claims and a claim for fraudulent falsification of sales reports by one of the franchisees, and (ii) the franchisee’ statutory claims for violation of the Maryland Franchise Law. The court’s treatment of each claim under the parties’ agreements to arbitrate is discussed below. In attempt to avoid the arbitration of Dickey’s claims, the franchisees attempted to “conjure a conflict” in the arbitration provisions by arguing that they would be forced to raise the Maryland Franchise Law claims as affirmative defenses in the arbitration. Any ruling on arbitration on these claims could have preclusive effect on their claims in court, thereby negating the franchisees’ right to bring suit in court for violation of the Maryland Franchise Law. The court rejected the franchisees’ “hypothetical” reasoning as Article 29 only provides the franchisees with a right to “file a lawsuit” bringing the Maryland Franchise Law claims in court – it does not expressly grant the franchisees a right to bring all affirmative defenses arising out of the Maryland Franchise Law in court. As a result, Article 29 is not implicated and Article 27 controls. As a result of the court’s ruling, Dickey’ was allowed to pursue its common law and fraud claims in arbitration. Unlike the common law claims, the court found that the franchisees’ statutory franchise law claims – directly implicating the Maryland statue – created a conflict between Articles 27 and 29. This conflict, however, was resolved by the parties’ agreement that Article 29 would apply “notwithstanding anything in th[e] Agreement in the contrary.” As a result, Article 29 “trump[ed]” Article 27 on this limited issue involving the statutory franchise law claims. As a result, the franchisees were allowed to continue to pursue their Maryland franchise law claims before the district court. The court’s written opinion decided the fate of the parties’ claims long before it addressed the elephant in the room – i.e., the FAA’s preemption of the Maryland Regulation. Dickey’s argued that it did not voluntarily include Article 29 in the franchise agreements. Rather, the Maryland Commissioner of Securities – in accordance with the Maryland Regulation – forced Dickey’s to include the language as a condition precedent to doing business in Maryland. Dickey’s argued that this precondition to doing business in Maryland should not somehow validate an otherwise preempted law. The court rejected Dickey’s argument and found that Dickey’s “was not forced to do anything.” Dickey’s had “several options,” including filing a declaratory action challenging the Maryland Commissioner of Securities, or simply declining to do business in Maryland. However, electing not to be proactive, Dickey’s capitulated to the Commissioner’s demands, included Article 29 in its franchise agreements, and waited two years before challenging the state’s purported required inclusion. Notwithstanding the language of the Maryland Regulation and the directions and authority of the Maryland Commissioner, the court found that the parties were free to negotiate the terms of their agreement to arbitrate – including the freedom to waive their right to file suit in Maryland. Because the parties were found to have voluntarily included Article 29 in the franchise agreements, the court rejected Dickey’s preemption argument and instead resolved the dispute through a strict interpretation of the parties’ agreements to arbitrate. According to the court, it was “comfortable holding Dickey’s to the terms of the agreements” – thus, avoiding the preemption argument altogether. It is unfortunate that the Fourth Circuit did not address the FAA’s relationship, if any, to the Maryland’s limitations on the parties’ ability to freely negotiate the terms of their agreements to arbitrate. Maryland is not alone as other state franchise laws limit the terms a franchisor can include in an arbitration provision. Although case law has ingrained in us the idea that the FAA preempts all statutory restrictions on the parties’ rights to arbitrate their disputes, this preemption may not be absolute. The FAA was enacted to validate parties’ existing agreements to arbitrate. There is no indication in the legislative record suggesting that the FAA was intended to preempt state legislation limiting the parties’ ability to contract as to the terms of the arbitration. For now, however, the Fourth Circuit was able to dodge this “thorny” issue. Bradley v. Harris Research Inc., 275 F.3d 884 (9th Cir. 2001). Md. Code Regs. 02.02.08.16(L)(3) (2015). The arbitration issues raised in these separate actions were consolidated by the Maryland District Court. Chorley Enters. v. Dickey's Barbecue Rests., Inc., 2015 U.S. App. LEXIS 13652, *7 (4th Cir. Md. Aug. 5, 2015). See, e.g., the Michigan Franchise Investment Law at MCLS § 445.1508(3)(ii).